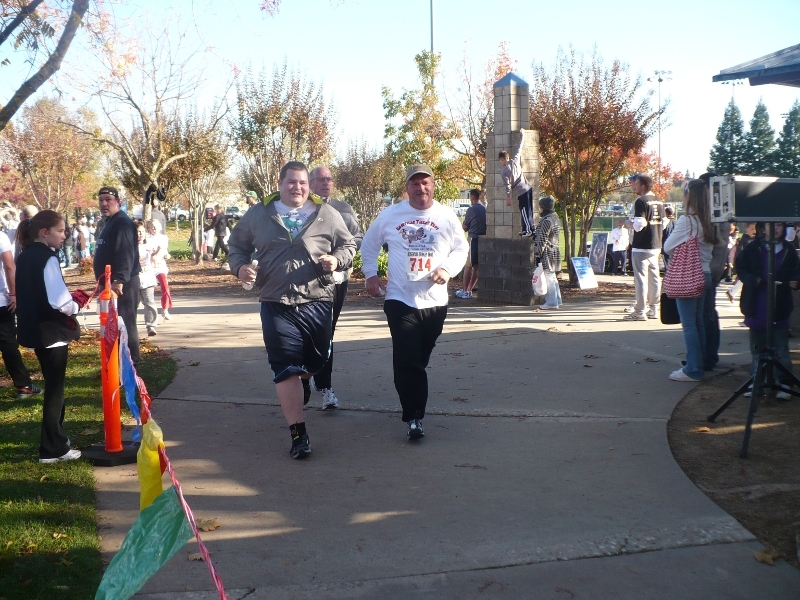 Back in September I had my first chance to run a 5K at the Lagoon Valley Trail run. The whole experience was great. The two biggest thrills were the start and crossing the finish line. I knew I wanted to run one again, but I also knew something was missing. I was running it solo and it was missing my friends and family. I needed some people to run with! I told everyone about my experience. Everyone seemed less than thrilled about the idea. Then a month or so later, my father in law started an exercise program. Around Thanksgiving he let me know he was considering running a 5k on Thanksgiving. He wanted to know if I would be willing to run with him. 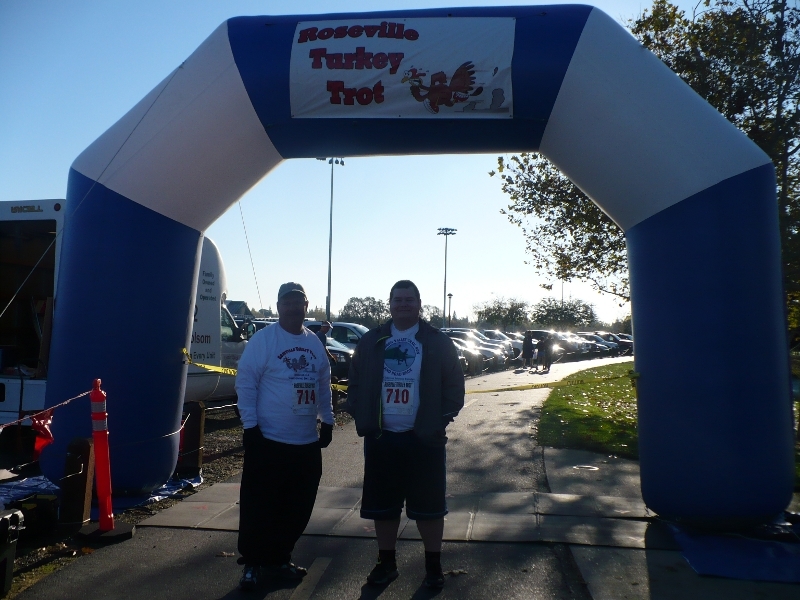 We chose a local 5k called the Roseville Turkey Trot. 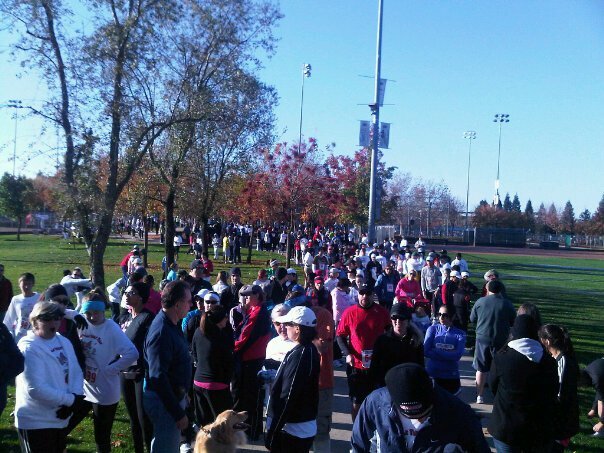 We decided not to run in the other local race (Run to Feed the Hungry) because that race draws over 30,000 people. We picked up our race packets and we observed that there were a lot more envelopes than the few hundred that ran the year before. Race day was chilly, but we were excited to be at the event. 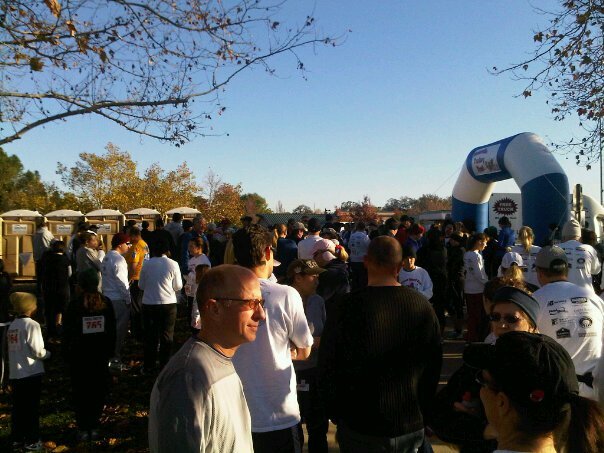 When we arrived we soon saw that there were in fact a lot more packets as over a thousand people got ready to run. The race started a little late, but before we knew it we were moving along with the mass of people running the race. The crowd thinned and we set into our race plans. We were doing a run walk plan. My job was running the watch and keeping us going. The intervals were going well for most of the race. We did have to scale back the run portion later in the race to accommodate fatigue. In the end we were able to run across the finish line and feel a sense of accomplishment.